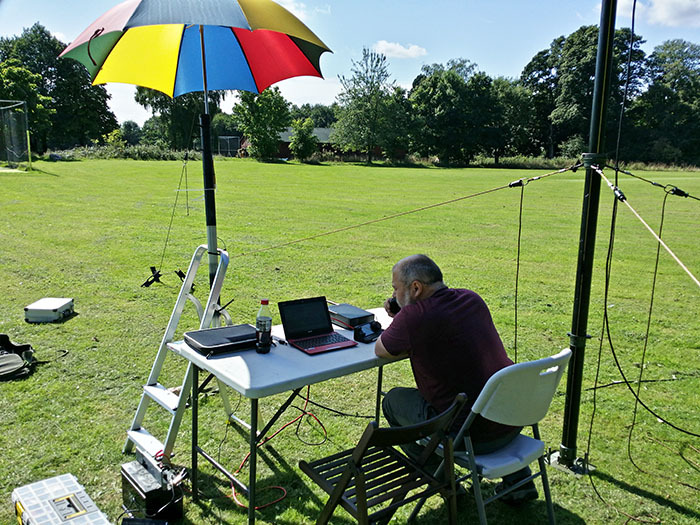 On Sunday, Dave and I went to South Weald to take part in the 144MHz Backpackers Contest. We used Dave’s 9 element Tonna 6m AGL and 10w from the Icom IC-7100. The weather was perfect, blue skies and sunshine and hardly a breeze! Dave worked 51 stations and some good DX for low power, due to the big stations competing in the 144MHz Trophy contest. We managed contacts with England, Wales, Scotland, France, Germany, Belgium and The Netherlands. Our best DX was DR4X at 648 KM. 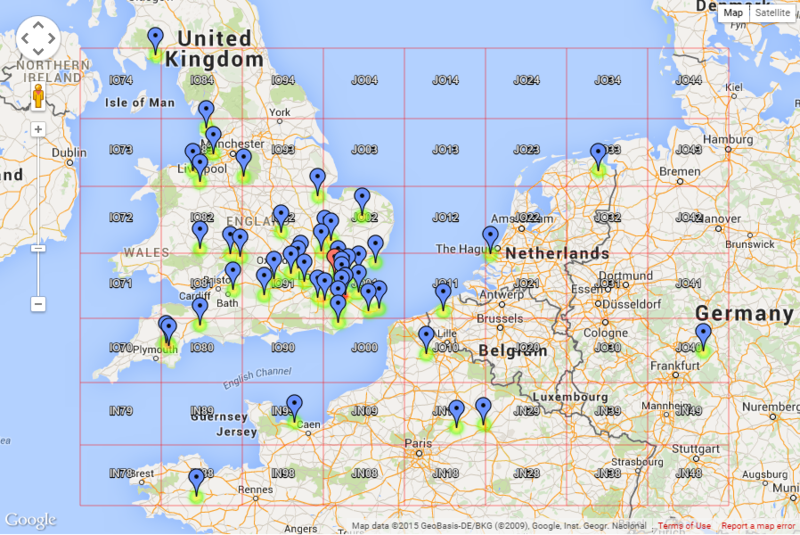 The QSO map can be seen below. I brought along some 70MHz equipment, which I set up after packing away the 144MHz gear and spent about an hour on 4m working 8 stations. All in all, a good days operating in the sun! Backpackers in the September sunshine!